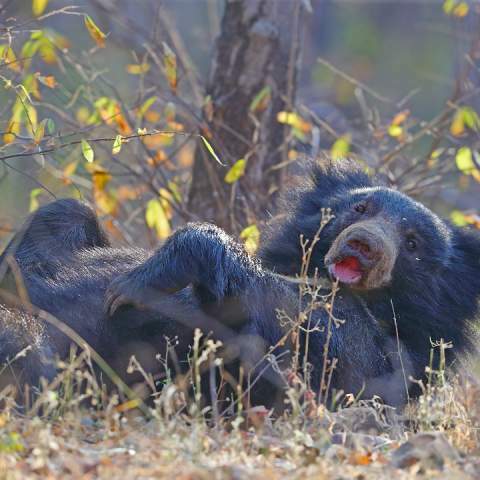 Travel writer, Julie Miller travelled to India with Mantra Wild in 2012. Here is her experience of our Himalaya Elements experience. There’s a rogue tiger on the loose in northern India, a man-eater. They say she’s eaten nine people so far, and the hunt is on to capture or kill her. It’s a heart-breaking situation – with only 1700 tigers left in the wild in India, it’s tragic that another will potentially be lost. It’s an increasingly desperate problem, however – how to curb the infringement of human existence on the territory of the few remaining tigers. Villagers are impacting more and more on the wilderness; as a consequence, the tigers are losing their precious habitat, and wandering deeper into human-occupied areas looking for food. As a way of protecting tigers and reducing the impact of tourism on their jungle territory, India’s National Parks service last year shut down all tourism in core tiger habitat while they reassessed their management plans. While it may have been a necessary measure, this occurred right as I was about to take a tiger safari in the Corbett National Park as part of my Mantra Wild Himalaya Elements Experience tour. “You have to turn back,” we were told as we were hiking, luggage and all, along a forest track en route to our overnight accommodation, Vanghat Lodge, located on the banks of the Ramganga River, in the buffer zone of Corbett. Apparently, to get to our lodge we were crossing the core area; and there was no way this National Park official would let us through. So turn around we did, taking the only other path to the lodge – a goat track through a village, down a steep cliff, along a rocky river bed, then back up a perilous track to the lodging. Exhausting is an understatement – but also quite the adventure. It was certainly worth the effort. Vanghat Lodge offers the complete wilderness package. It’s isolated, tranquil and beautiful; the only sounds are the call of langurs, the tweeting of birds and the constant burble of the river. Occasionally you’ll hear a strange barking sound – that’s the call of the sambar, warning that a tiger is near. It’s enough to send a thrilling shiver down your spine, just knowing you are in the vicinity of such a magnificent beast. In the morning we find evidence of a nocturnal visit – a huge paw print embedded in the sand, less than 50 metres from where we slept! We may not have been able to go on safari in the core zone, or seen a tiger in the flesh – but the fact that they are there, roaming free and (in that particular park, at least) thriving is simply fantastic. The next question, however, is how are we going to get out of the lodge? 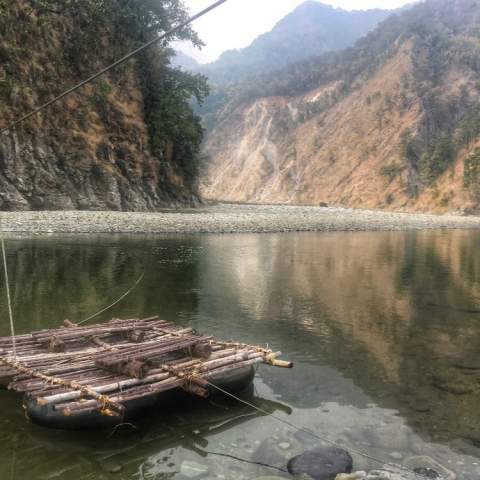 With the main path still closed, the river swollen and the trek back out the way we came an unpleasant prospect, the wonderful staff at Vanghat came up with a brilliant innovation – a makeshift raft, which would carry both our group and our luggage across the river to our waiting van! Jugaard! Back on the road, we head north to Binsar, a beautiful wildlife sanctuary 25 kilometres north of the hill town of Almora. We are staying at Nandadevi Estate, the former residence of the District Magistrates but now the home of Mukti Detta, a passionate conservationist and advocate for local women’s rights. Here, in a subalpine forest of rhododendron and oak filled with leopard, black bear, langur, barking deer and porcupine, there is little to do except walk forest trails, ride horses (from Mukti’s own stable) or just soak up the views of 500 kilometres of snow-capped Indian Himalaya peaks, glowing in the changing light. But that’s the real joy of a Mantra Wild experience – finding hidden treasures, taking you off the beaten track into the real India … one which will get under your skin forever. Read more about her experience in the Sydney Morning Herald. If you’re interested in our Himalaya Elements experience, click here for more details. 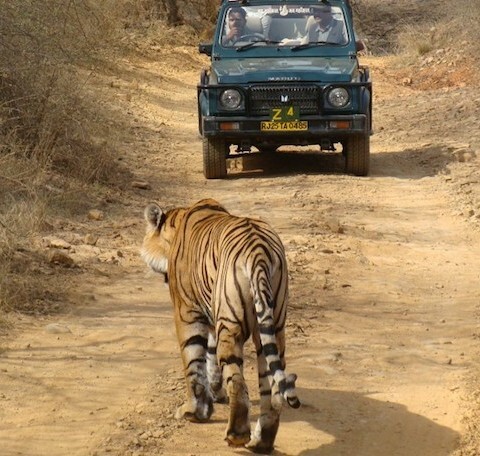 Why Travel to India For Wildlife Safaris? What a beautifully written story! I love the detail and the photos…it felt like I was there. Thanks for sharing! Thank you for reading and I’m glad you enjoyed Julie Miller’s account. We had an unforgettable time. It’s a part of India I love to show to our clients. Such an incredible adventure! I believe you can’t “really” see a place unless you venture off the traditional tourist path. I loved reading your story and the pictures are gorgeous! I totally agree Jennifer! Part of any journey is the unexpected and that is something that you can always expect in India 🙂 The pictures are mainly taken by Julie Miller – great shots, I agree.